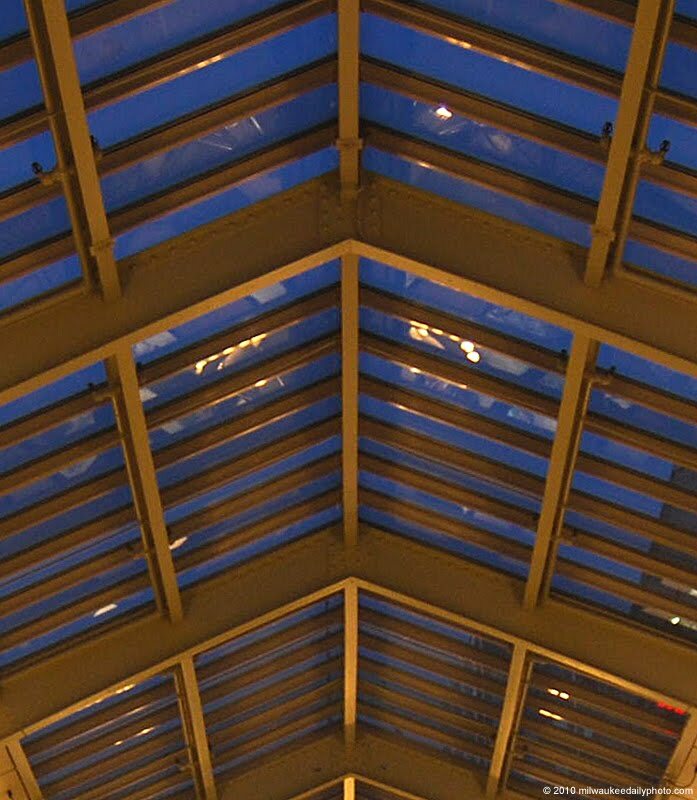 The steel ribs support a glass ceiling in the Arcade section of the Grand Avenue Mall. 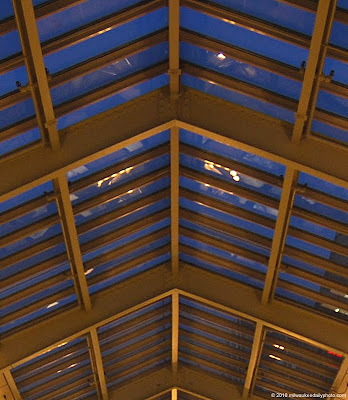 As the sun sets earlier every evening, the deep blue shows through the roof. cool! you've created a wonderful design.